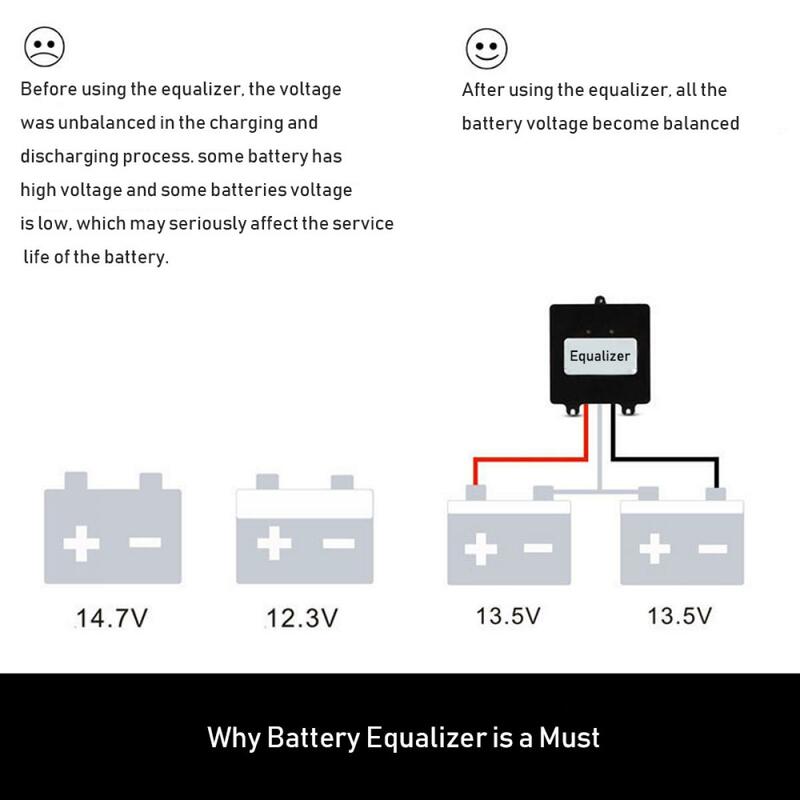 The 24V Battery Equalizer can connect Two 12V Batteries by default, no matter in series or in parallel. the maximum compensation current is 10A. 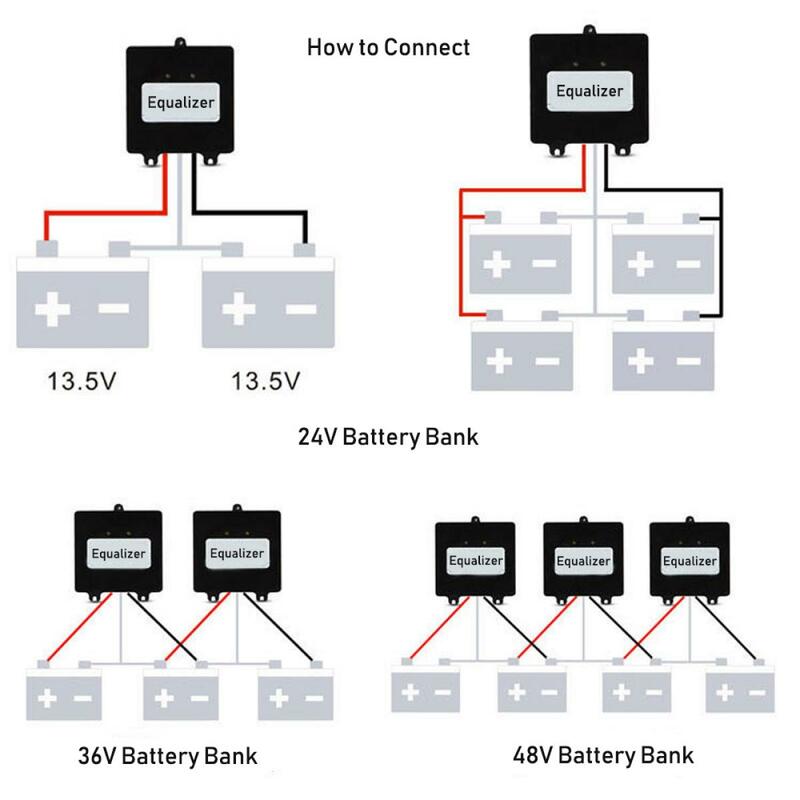 For 36V or higher voltages Battery group, multiple 24V equalizers can be connected in parallel. Not sure if it's possible to get the variance down to a perfect +/- 0, but it's good enough for me right now and certainly better than not having one. 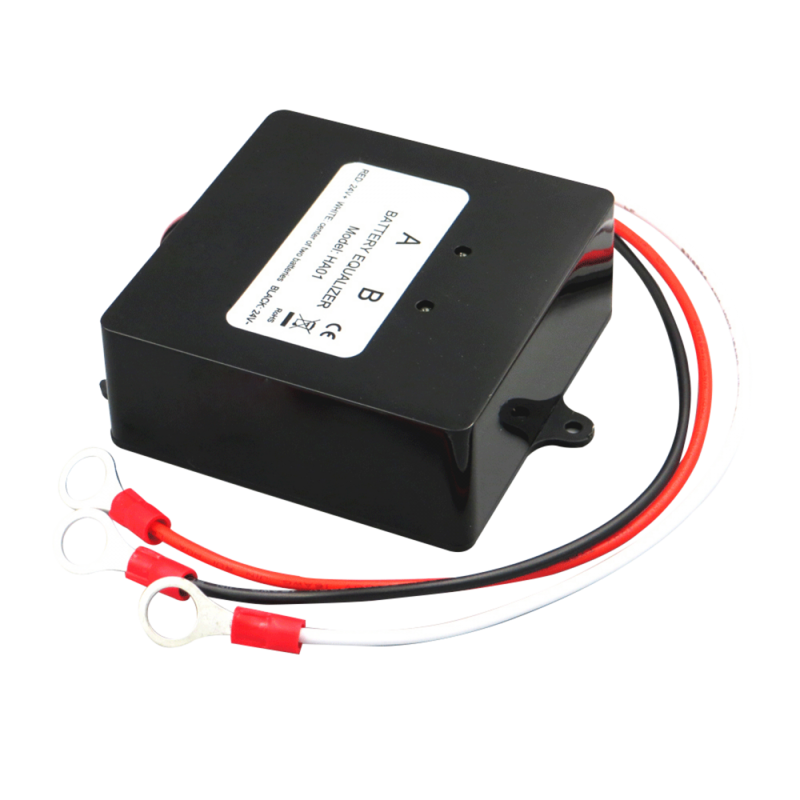 Hooked up to 2 Optima Red batteries for a large 24V Volvo C303. So far, so good. 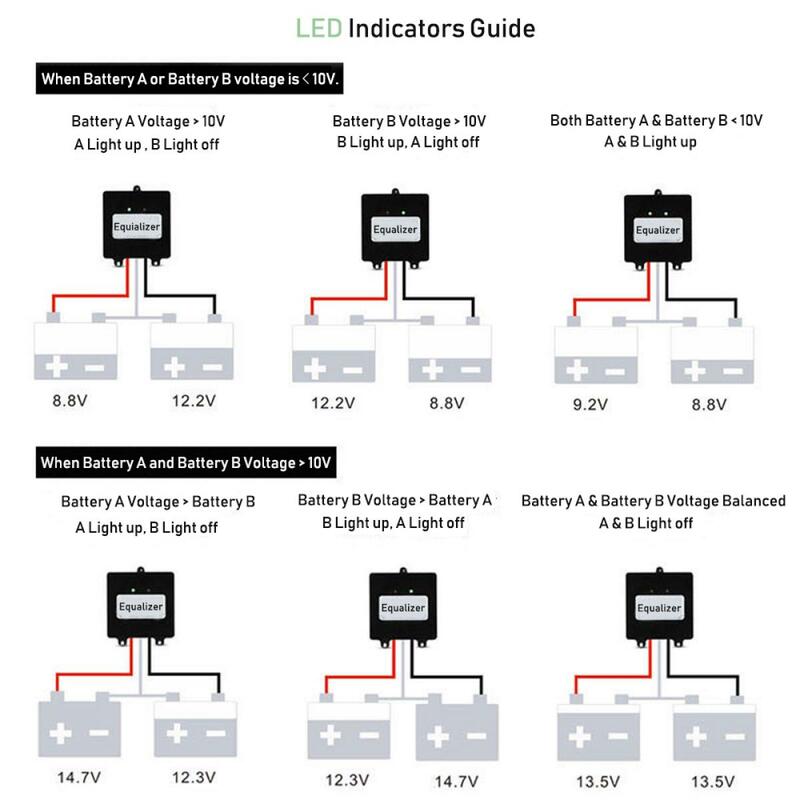 The tiny LED is helpful to see just how quick the batteries go out of sync. Can't say how quickly it equalizes the battery bank, but it DOES work well. Does not get hot. If you like your batteries you might want to get one for each pair you have in series. I have 6 now, and plan to get 6 more. Cheaper than having to buy new batteries.